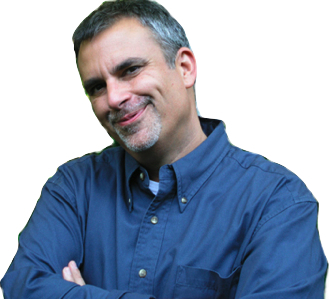 A ramp is one of the first green veggies to sprout-up in springtime. It is aka wild leek or spring onion; fitting, since it adds a sweet onion + bit of garlicky flavor to a variety of dishes. 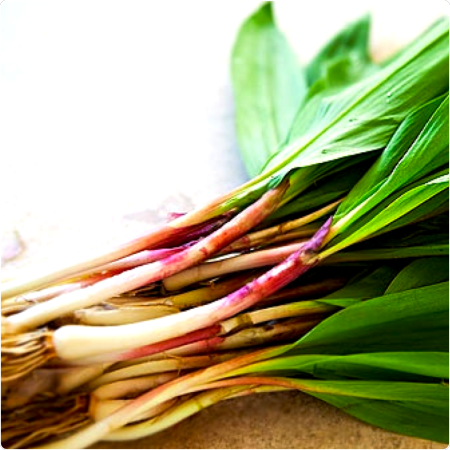 Add ramps to pep-up a dish; ideal for soups, eggs, potatoes, and seafood. 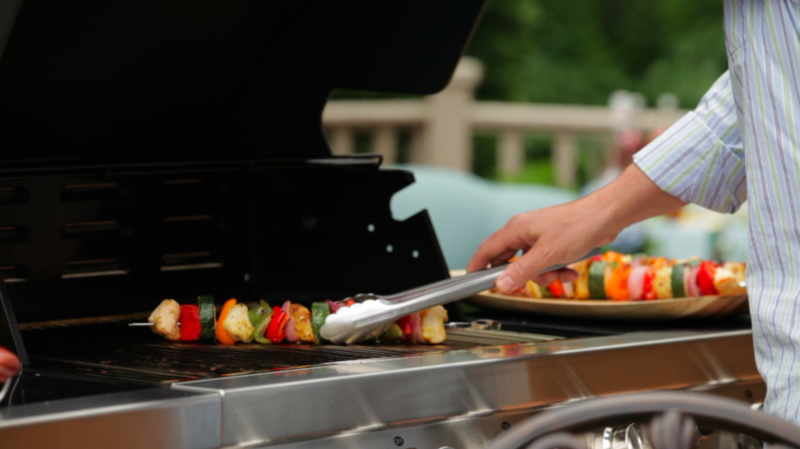 One of my favorite ways to prepare ramp is grilled, which brings out its natural sweetness. Ideal served atop a grilled pizza. The how-to is simple; Grilled Ramp: After cutting off stem-end, wash whole ramps and dry. Drizzle olive oil over the white and greens, season with sea salt and freshly ground black pepper. Grill on a high heat until lightly charred. Cool, then place on pizza before baking as you would add any topping. No time to make the dough? 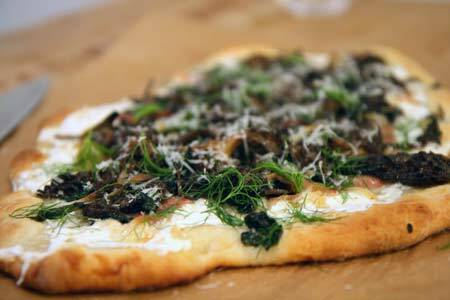 Then, top with my easy Nann style flatbread pizza recipe with grilled ramps. But, I encourage you to make time and toss the dough my flatbread pizzas as seen on George Hirsch Lifestyle TV series. Pre heat grill to medium or an oven to 400 degrees F.
Brush Naan on both sides with olive oil. Top Naan on one side with cheeses leaving a half-inch border around crust. Place Naan on grill top shelf or bake on a pizza pan for about five minutes until crust is crisp and cheese is melted. Remove top with fresh basil and pepper, serve immediately.